Now we can finally say the C word, Christmas, CHRISTMAS!! !, ahem, sorry, I’m a sucker for Christmas! Couldn’t wait to put my Christmas decorations up! And now I’m here to bring you some awesome ideas for your stocking filler gifts. Whether you want to spend forty pounds or £100, I’ve got you covered. Here are some handmade jewellery items that are perfect for that extra little present, or even a secret Santa gift OR my favourite kind of gift, the one to treat yourself! Colourful charm bracelets with an elegant beaded precious metal charm. 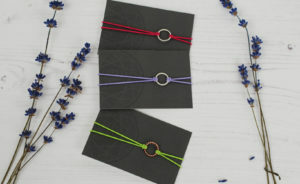 These handmade bracelets are available in an array of vibrant colours and you can choose your favourite colour band with a circle or heart-shaped charm. The charms are available in sterling silver matt or oxidised finished OR in 18ct yellow or rose gold vermeil. 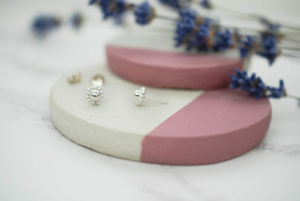 These dainty studs are perfect for everyday wear. 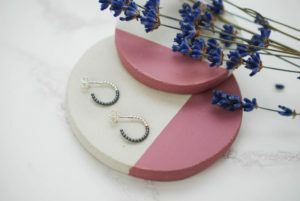 The handmade mini circle and bead earrings feature a large silver bead encircled by smaller beads, almost looking like a little flower. They are small enough not to bug you during the day and thus are perfect winter fashion, they won’t get caught in your scarf! Maybe a great Secret Santa present for that fashionable office girl? Two-tone mini hoop earrings for everyday wear. 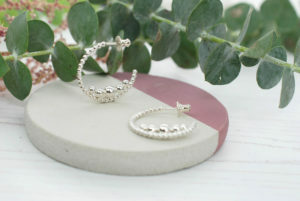 Theses dainty hoops fit snug on your ear and are available in several options of two-tone colour combinations. These ones are sterling silver with black oxidised detail, but are available to order in my special gold vermeil and rhodium combinations too. Just drop me an email and we can discuss options, but be quick, gold vemeil finish takes up to a week longer! Now for the stars of the show. If you’re looking for something a little more special, perfect as a super impressive stocking item, or that extra surprise to hide in the tree, check out these beauties. 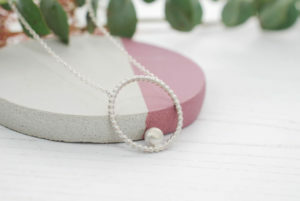 A classic handmade circle and bead necklace with delicate sterling silver beaded detail. The necklace shown in the image is with a matt finish but can be ordered in polished finish as well. The chain is soldered to the pendant so the clasp can’t move to the front. Made using delicate beads of precious metal, this classic handmade necklace is a perfect surprise Christmas gift at the end of the night. 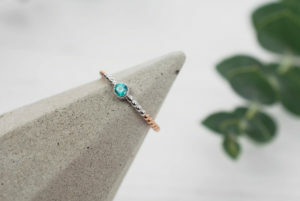 An exquisite statement ring with a stunning blue swarovski crystal and 18ct rose gold vermeil and white rhodium detail. This elegant and feminine ring is a beautiful surprise gift to add a little sparkle to your Christmas day. 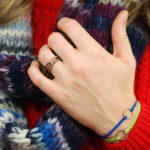 Have a look at my other two tone rings as well. 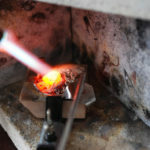 Other popular choices are yellow & rose gold or rose gold and black rhodium, both beautiful colour variations. Handmade hoops with delicate beads of precious metal balancing in the crescent of the earring. The earrings in the image are sterling silver with a polished finish, but can be ordered in 18ct gold vermeil as well. This pair of handmade intricate multiple bead hoops is a definite showstopper for day and night, a great gift for that special lady in your life. Now, this is it from me! I hope that helps you. I need to start my Christmas shopping as well, maybe a trip to central London is in order. If there’s anything you’d like to see or any ideas you have for bespoke jewellery for your Christmas presents, get in touch. Want to stay up to date with current shows, special offers and new pieces?